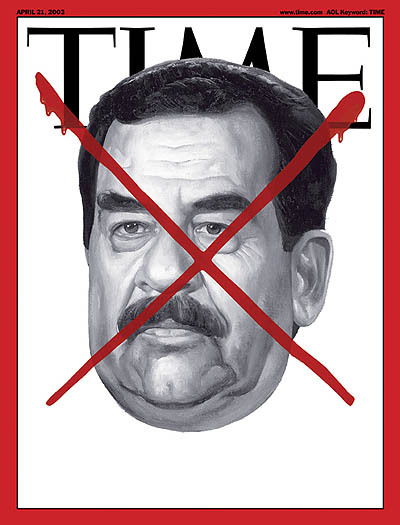 Arthur Hochstein was the Design Director of Time magazine for 15 years, through the end of 2009. During his time there he designed over 1000 covers, including some of the most memorable magazine images of recent years. His iconic cover designs include everything from OJ Simpson, 9/11, the War in Iraq, George W. Bush, and Barack Obama. And although the covers of Time included some of the best illustrators and photographers in the world, many of the covers were photo-illustrated by Hochstein himself, who created numerous humorous and pointed images. Like a modern day version of classic Esquire cover designer George Lois, Hochstein wielded irony, wit, provocation, and powerful imagery to create what was, week after week, the most seen and talked about piece of print real estate in the business. Hochstein will be presenting a retrospective of his cover work at Time in a presentation hosted by the Society of Publication Designers on October 27 in New York City. “1000 Time Covers: Thinking Inside the (Red) Box” will be a unique behind the scenes look at the creation of the Time cover. Here’s a slideshow of a dozen of our favorite Time covers designed by Arthur Hochstein over the past 15 years.